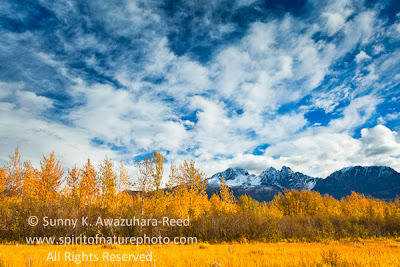 Fall colors still abound in many lower 48 states and other parts of the world this time of the year. In Alaska, autumn comes early, depending on which part. It starts in late August and peaks in September. 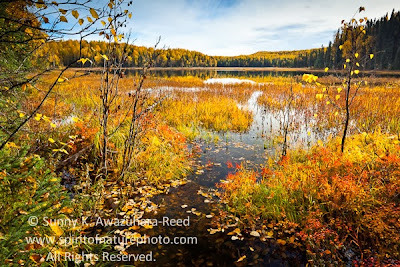 In my last post, I wrote about the colorful mid September fall in eastern Alaska, near the Canadian border. The following week, the fall colors were still gorgeous in the Chugach Mountains north of Anchorage. 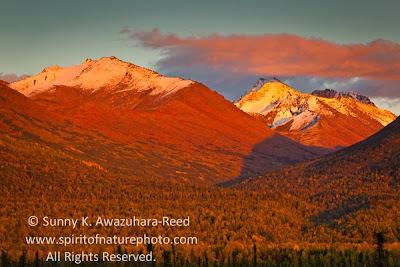 The high peaks of the Chugach Mountains were already dusted with new snow. 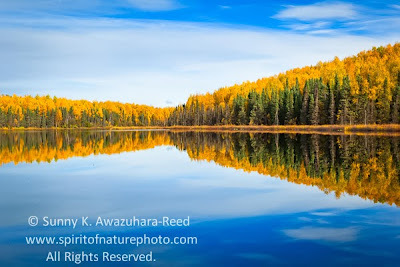 Birch trees were bright yellow on the base of the mountains. Smaller trees and shrubs were turning vibrant red. 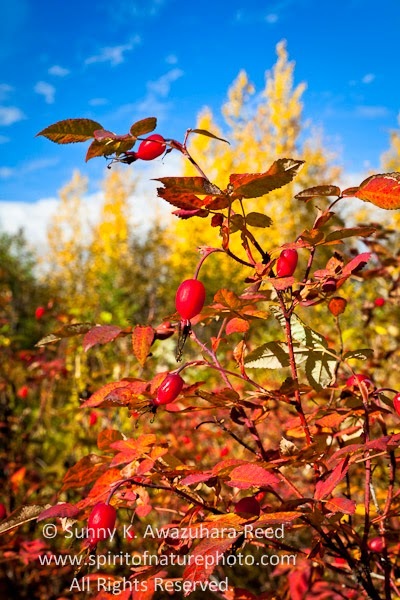 This is Alaskan wild rose; Prickly Rose, and its rose hips in autumn colors. 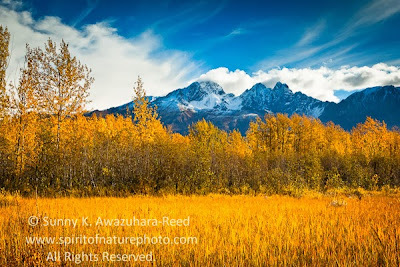 Wet meadows around Nancy Lakes were also painted in warm oranges colors. Twin Peaks, a part of the Chugach Mountains, rise over golden birch trees and a grass meadow under a blue sky.